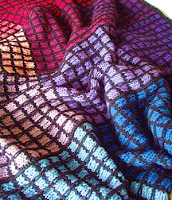 Something as simple as changing yarns and/or color combinations can completely transform the look and feel of a project. 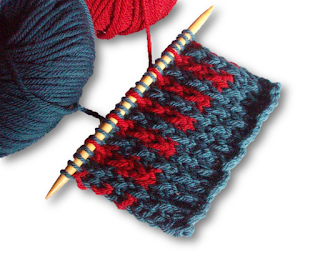 That's only one of the many things that makes knitting both fascinating and challenging. For example, I have as you know been somewhat obsessed with this charming little slip stitch. It creates an appealing texture that's almost-but-not-quite rib-like. In solid shades, the spotlight remains on the texture. Add in a second color, however, and this simple stitch takes on fresh interest. It's a quick and easy way to produce vertical stripes that resemble corrugated ribs, but it offers more advantages. The fabric is stretchy, and the stripes are worked without the fuss of stranding. With two contrasting colors worked in a springy worsted merino (Valley Yarns Amherst), the stripes are clearly defined. 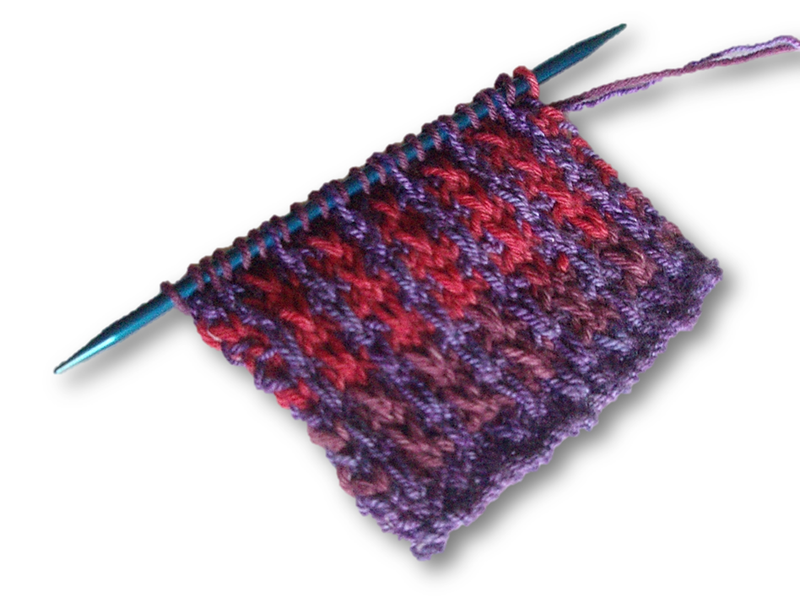 If you pair a variegated yarn (KFI Indulgence Eggplant) with a high-contrast solid (Sugar Bush Bliss Platinum), however, the vertical stripes take on a new dimension. Because Indulgence features slow or long-print color changes that shift from eggplant to plum and rose, the transitions are an interesting gradient effect. 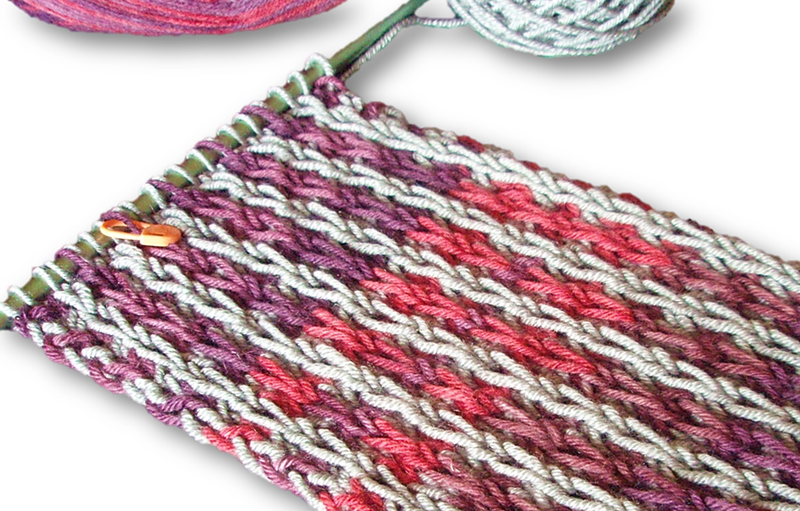 Work the same long-print variegated with a tonal yarn in a compatible shade (Baah Aspen Violet), and the results are quite different. 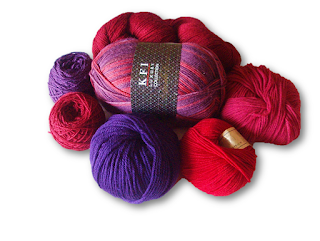 To tame a yarn that's prone to pooling, work a rapid color changing variegated (Happy Feet Berries) with a closely related solid (Valley Yarns Charlemont Burgundy). 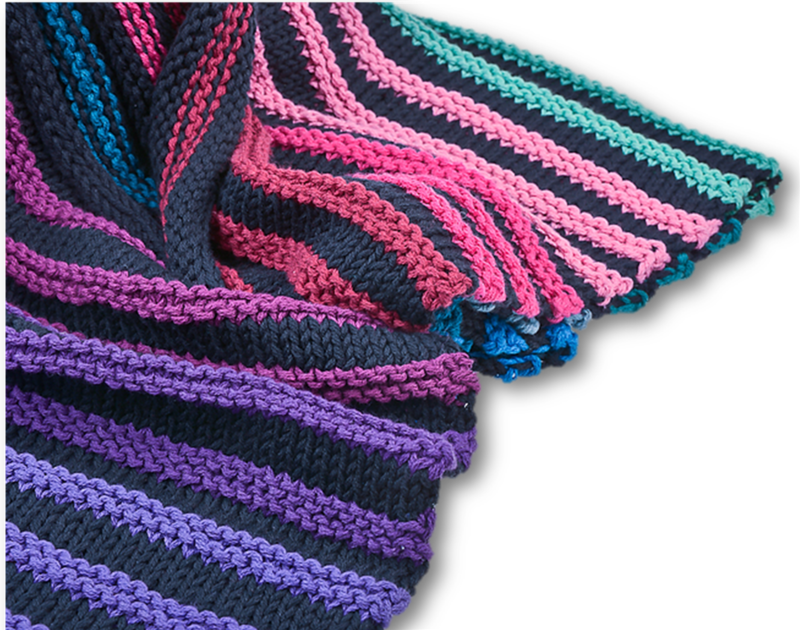 Because the colors blend together, the vertical stripes are still visible, but they're much more understated. 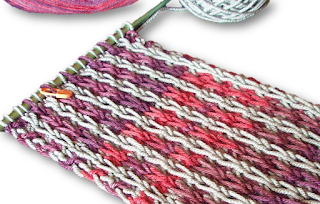 Or you could really get carried away as I did, and match two very closely related tonals (Wonderland Yarns Shillings & Pence) for vertical striping so subtle, the two shades are almost indistinguishable. Life and work have been demanding in ways I won't even attempt to describe, so as you can see, I've been knitting swatches as a small but invaluable diversion. 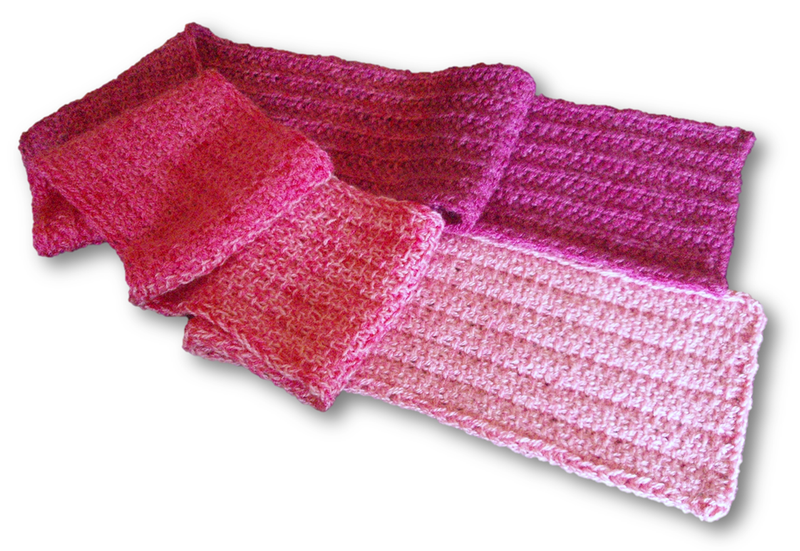 Each one uses the same syncopated slip stitch worked in a variety of yarns to demonstrate some of the many possibilities when you let color do much of the work. Every time I search for information related to ombres and gradients, Google very kindly suggests I might want to search for hombres instead. As thoughtful as that suggestion is, it's not terribly helpful, since I continue to be obsessed with ombre effects and the many fascinating ways they can be created in knitwear. 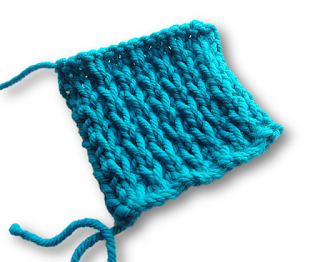 The easiest way to create an ombre is to simply buy a gradient yarn, pick a pattern and work it up, right? That was my initial intent when I invested in this Mad Hatter Shillings & Pence (Wonderland Yarns by Frabjous Fibers). 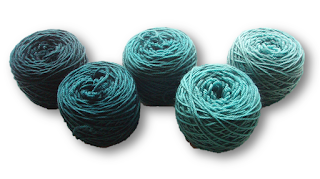 Once I had the yarn in hand, I realized I wanted something that leveraged the wonderfully subtle color transitions the producer has managed to achieve. To accomplish this, I needed just the right stitch, one that was easy to work but which created a smooth segue from one shade to the next. 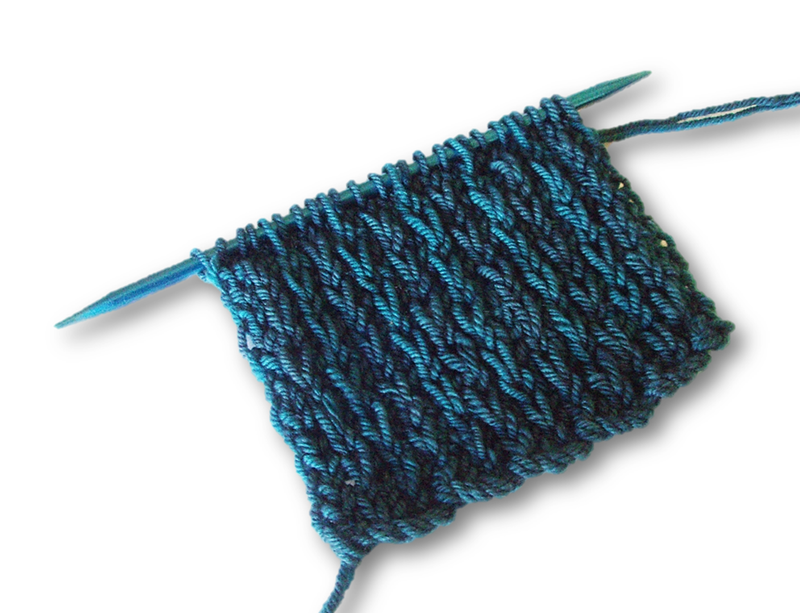 Unfortunately, that means I've been spending more time swatching than knitting. 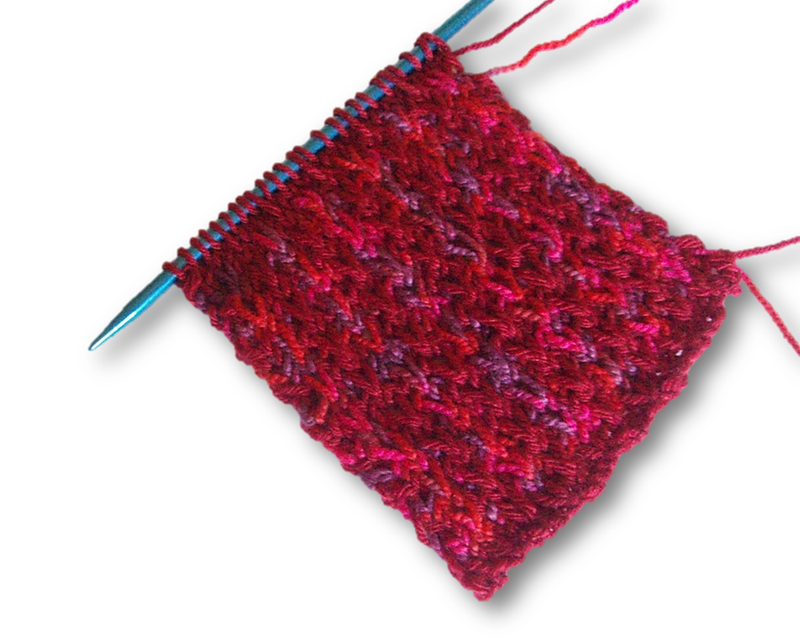 This is frustrating, because right now, I'm not just eager, I'm desperate to cast on a shawl or wrap that can carry me through the remainder of winter and the wet, chilly spring so typical in this region. 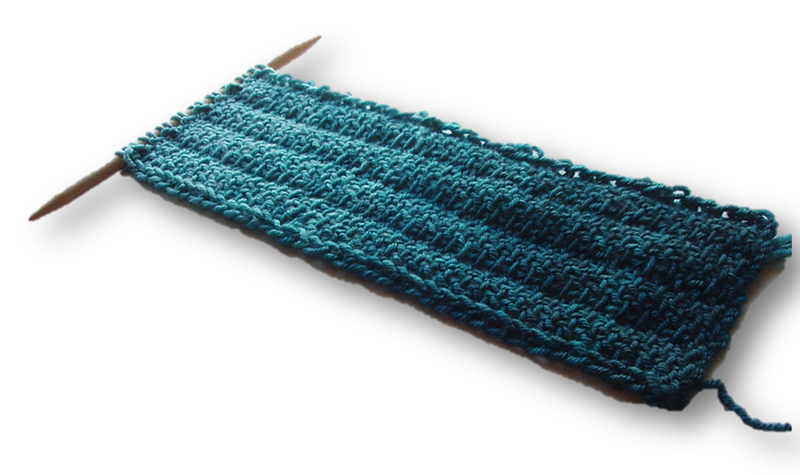 I worked the swatch above in just two colors. 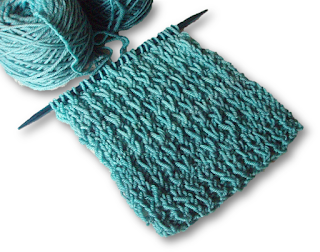 The top portion features the lighter shade, the bottom shows the medium shade, and the center is worked in alternating rows of both. I like the weight and drape, and the slightly syncopated texture which helps break up the transition rows and visually blend the colors. I'm off to figure out a few more details, then maybe ... maybe ... I'll be ready to cast on. To see all ombre and gradient posts, click here. While I admire and respect knitters who delight in intricate shapes and complex lace or cable designs, these are not the things that continue to fascinate me after decades of working with needles and yarn. Instead, I'm drawn to designs that feature simple shapes, subtle textures and a focus on color. I'm not now nor shall I ever be in Kaffe Fassett's league, but if pursuing these qualities is good enough for him, then it's more than good enough for me. To see all posts related to color, click here. Should this change, I'll let you know. Meanwhile, feel free to browse and click with confidence! All content & images © Barbara Spencer Hawk 2011-2019. All rights reserved. Simple theme. Powered by Blogger.